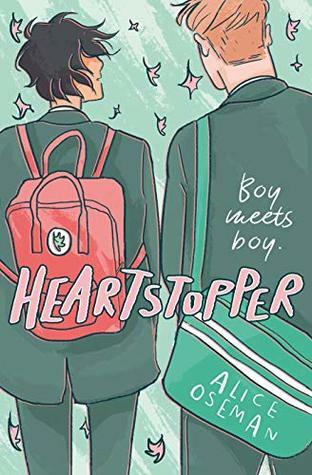 Charlie, a highly-strung, openly gay over-thinker, and Nick, a cheerful, soft-hearted rugby player, meet at a British all-boys grammar school. Friendship blooms quickly, but could there be something more...? Charlie Spring is in Year 10 at Truham Grammar School for Boys. The past year hasn't been too great, but at least he's not being bullied anymore, and he's sort of got a boyfriend, even if he's kind of mean and only wants to meet up in secret. Nick Nelson is in Year 11 and on the school rugby team. He's heard a little about Charlie - the kid who was outed last year and bullied for a few months - but he's never had the opportunity to talk to him. That is, until the start of January, in which Nick and Charlie are placed in the same form group and made to sit together. From the author of Solitaire and Radio Silence comes a bind up of the first two chapters of Heartstopper, an ongoing webcomic.